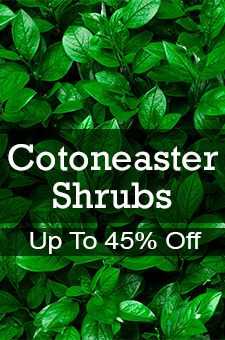 A super popular smaller flowering shrub in which we have seen an explosion of new selections over the years because of their versatility. 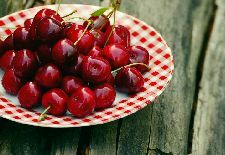 There has been much hybridization and many cultivars released because of the great and varied sizes, color and multi-seasonal interest. Nature Hills basically sells two different types of Spirea, the smaller selections that re-bloom, and the larger growers that bloom early and are done for the year. Spirea are hardy and easy to grow. Some of the older cultivars have been around since the early 1900's and are still being grown today. Let's start with the larger growing selections that all sport white flowers and a mass of blooms in May or early June depending upon where they are grown. If you are anywhere in the upper Midwest, you will probably have seen the old fashioned Bridal Wreath Spirea (Spiraea x Vanhouttei) that typically blooms at the end of May or around Memorial Day. Due to this bloom time, many cemeteries have planted hedges of them that have remained for decades. White clusters of flowers are neatly arranged all along the stems from the tips all the way down into the plant. It literally looks like there was a wild snowstorm and the plant was flocked with fresh, white snow. Since they bloom that one shot on last year's stems, once the bloom is done, that is the time to prune them. 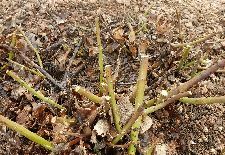 They can be cut all the way down to the ground if they get too large to allow the new young stems to grow from the ground up on stems that will flower next year. If you prune them in summer or fall, you will cut off all the flowers before they open. 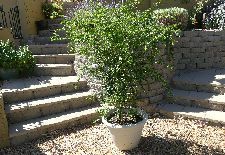 The Bridal Wreath gets to be about an 8' tall and 6-8' wide with a fountain like appearance. The selection called Renaissance stay slightly smaller getting 6-7' tall and 5-6' and very free flowering. Those two selections are outstanding hedges left untrimmed and lacy and natural. Then there is a finer textured and smaller growing spring blooming Spirea called Grefsheim. Although Grefsheim is a different species, it rocks. Smaller leaves and gorgeous and very dainty white flowers all along the stem completely covering the plant with blooms. 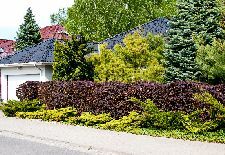 Grefsheim used in mass plantings, foundation plants or again as an untrimmed hedge easily maintained in that 3-4' size. Last, one more like all the above is called Snowmound. Snowmound again blooms all along the entire stem from tip way into the center of the plant and again in late May or early June. Prune immediately after the flowers are done so you will have the same success with flowering next spring. This selection is a bit coarser and make a rounded 5' plant great for and untrimmed hedge. The other group of Spirea include several different species and some hybrids but many cultivars. Flowers are borne in mostly flat topped clusters and are typically 3' or so. The flowers are born on the tips of each stem. The plants are very forgiving and ask very little sun, a haircut occasionally, and some additional moisture during periods of drought. This group of Spirea stays smaller ranging from 15' high and wide to 3-4' high and wide. There is a wide array of leaf color with some emerging in beautiful oranges and reds to bright yellow and some green. The flower colors range from white to pink to red and everything in-between. The beauty of this group of Spirea is once that first round of flowers begins to fade, trim off the spent flowers and stand back and wait for the next round of bloom. The birds and bees will love the flowers and so will you as they are a great cut flower too. Small and very manageable plants are very colorful from the minute they start to leaf out, flower, great summer foliage colors, and the let's not forget the myriad of color they go through in the fall to finish the show. 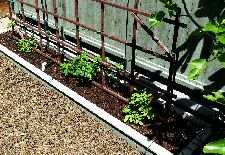 Spirea make great foundation plants because of their smaller size. They work well in mass plantings for big open areas or embankment plantings. They are great edging or front of the shrub border plants. Companion plants for this group of smaller Spirea plants include Viburnum Carlesii, Weigela Sonic Bloom or Wine and Roses make great backdrops. Many shrub roses and perennials work well as companion plants with Spireas. Groundcovers and groundcover Junipers also work well as companion plants for this group. The form and colors vary greatly and so does the list of Spirea that we sell.